Paramount Structures Incorporated (PSI) designs, develops, and delivers High Performance Building Envelopes (HPBE) tailored to the unique needs of our clients that are durable, dependable, and fit for purpose. Our Eco-Friendly HPBE is assembled rapdily using our Advanced Panelized Wall System to create energy efficient infrastructure that is used in controlled indoor agriculture, industrial blast resistant buildings, commerical warehousing, and residential applications. Our commitment to High Performance Building Envelopes goes back to 2006 when we started designing Blast Resistant Modular Buildings (BRMs) for oil & gas and chemical processing facilities that included laboratories, control rooms, security stations, and operational support buildings like tool cribs, lavoratories and lunch facilities. 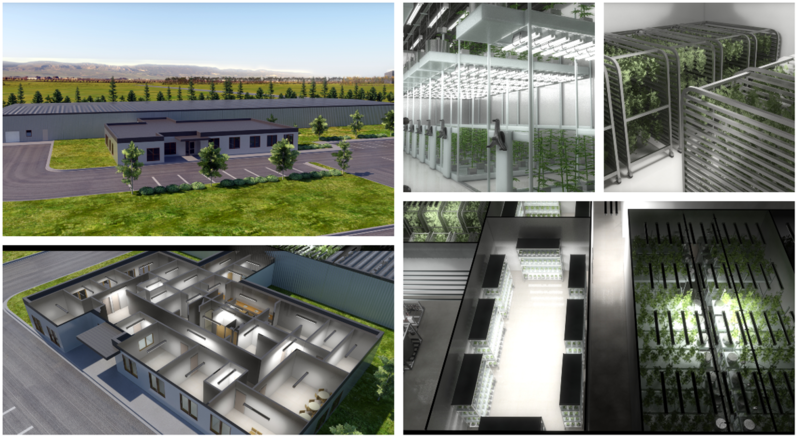 We recognized the viability of our EcoHPBE in controlled indoor agriculture environments, and now PSI has completed over 100,000 sq/ft of custom cannabis cultivation facility design projects. PSI has engineered retrofits, and new builds, including single tier and vertical grow environments, which afford us the understanding of electrical and mechancial nuances between HPS and LED lighting systems, and the classification requirements for extraction capabilities. Our construction management expertise combine with our indepth cannabis industry knowlegdge ensures the successful design and commissioning of a turn key cultivation facility leveraging PSI's EcoHPBE to create the perfect ecosystem for cannabis cultivation and extraction. Connect with us to learn how PSI EcoHPBE decreases construction timelines and reduces operations costs.